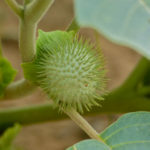 Datura innoxia is an annual, shrubby plant up to 5 feet (1.5 m) tall Its stems and leaves are covered with short and soft, grayish hairs, giving the whole plant a grayish appearance. 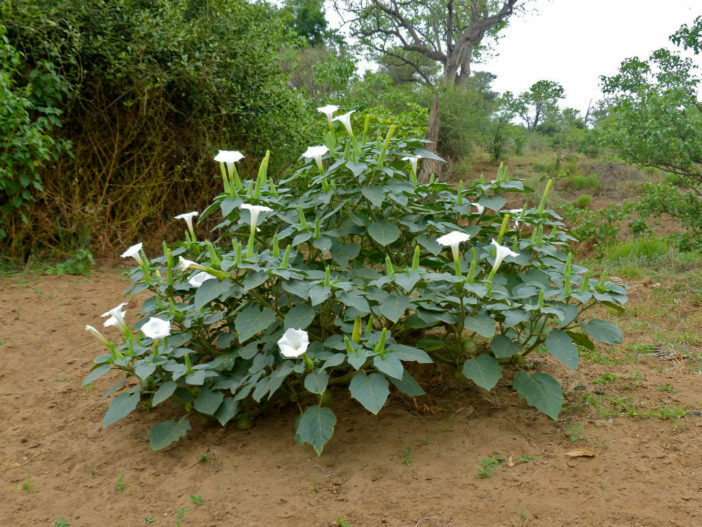 It has elliptic smooth-edged leaves with pinnate venation. 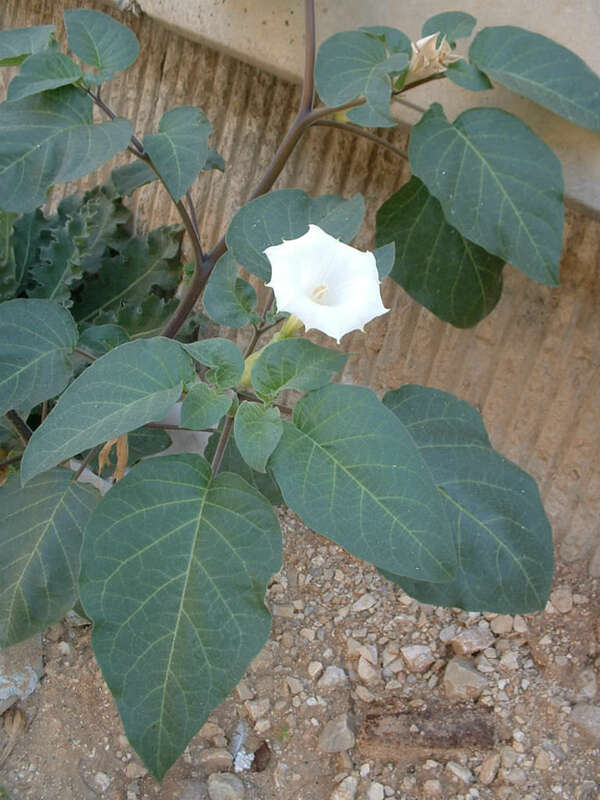 The flowers are white, trumpet-shaped and up to 8 inches (20 cm) long, followed by spiny fruits up to 2 inches (5 cm) long. 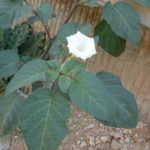 It flowers from early summer until late fall. You can grow Daturas inside or outside in a pot, or simply spread seed with a light coat of sand outside in a sunny location. 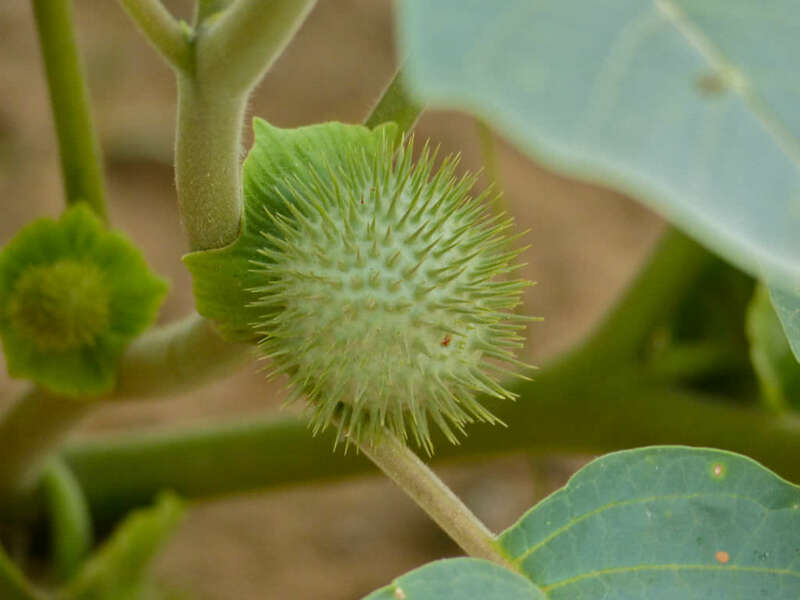 They are usually planted annually from the seed, but with care, plants can be overwintered. 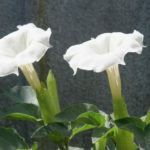 Most species are suited to being planted outside or in containers. Daturas does best in full or close to full sun. The more light, the better in general. 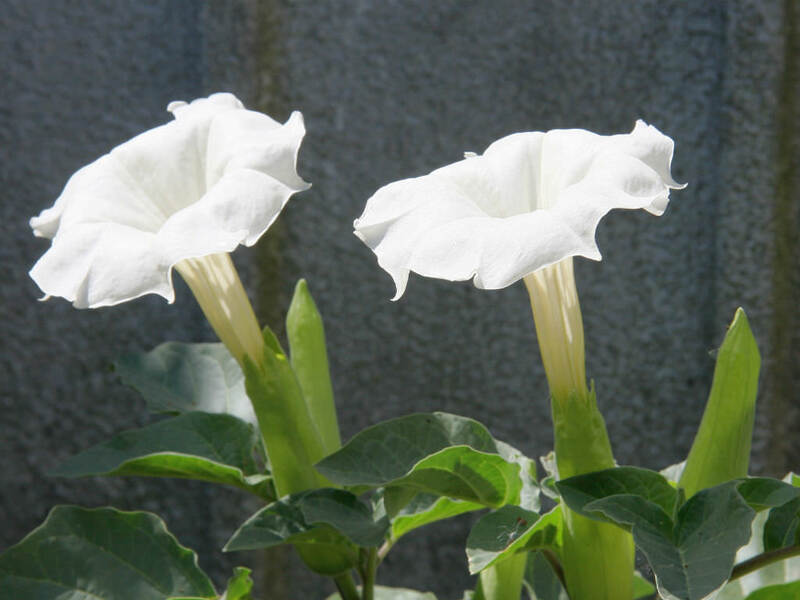 Datura is a truly tropical species that does not take kindly to colder temperatures. Cold drafts are likely to result in leaf drop, and frost will kill it. In containers, they should have porous, aerated potting soil with adequate drainage. Regular watering during the growing season to keep the soil moist at all times, but not soaking. During the winter, reduce watering somewhat, but never let the soil completely dry out. It is native to Southwestern United States, Central and South America.